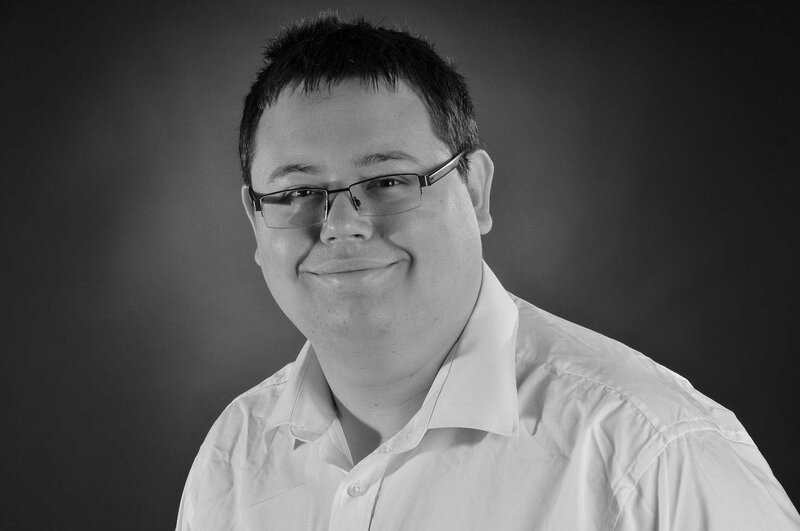 Reinvention can work wonders. The old Peugeot 5008, for example, was a fairly frumpy but practical MPV, but when the new model emerged as a high-tech large SUV last year, it went on to win our Large SUV of the Year Award. 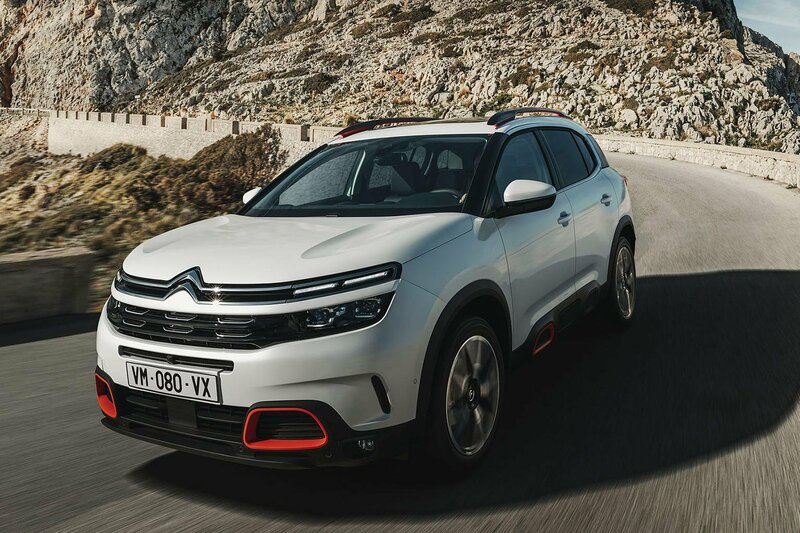 Citroën must have been watching its sister brand closely, because it’s taken the C5 family saloon and reinvented it as a flagship family SUV, the C5 Aircross, whose rivals include the big-selling Nissan Qashqai and our current class leader, the Skoda Karoq. 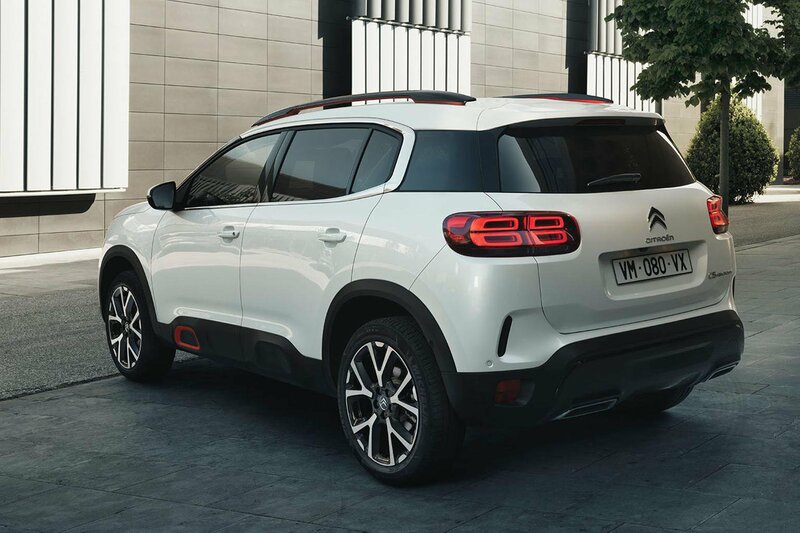 As with Citroën's smaller C3 Aircross and C4 Cactus, the C5 Aircross features Citroën’s ‘Airbump’ plastic cladding around its lower edges, designed both to prevent door scrapes in car parks and to enhance the car's muscular look. In addition, the C5 Aircross's dimensions make it considerably longer and taller than both of its key rivals but marginally narrower than the Karoq. Buyers will be able to choose between 30 exterior colour combinations, ranging from two-tone paintwork to coloured inserts on the front bumper to give their cars a bespoke look. You can also choose alloy wheels ranging from 17in to 19in. Other features include LED headlights and tail-lights. Buyers have two petrol and two diesel engines to choose from. The two petrols are the 128bhp 1.2-litre Puretech 130 and 178bhp 1.6-litre Puretech 180, while the two BlueHDI diesels, a 1.5-litre and 2.0-litre, have the same power outputs as their petrol counterparts. Gearbox options are a six-speed manual and an eight-speed automatic. 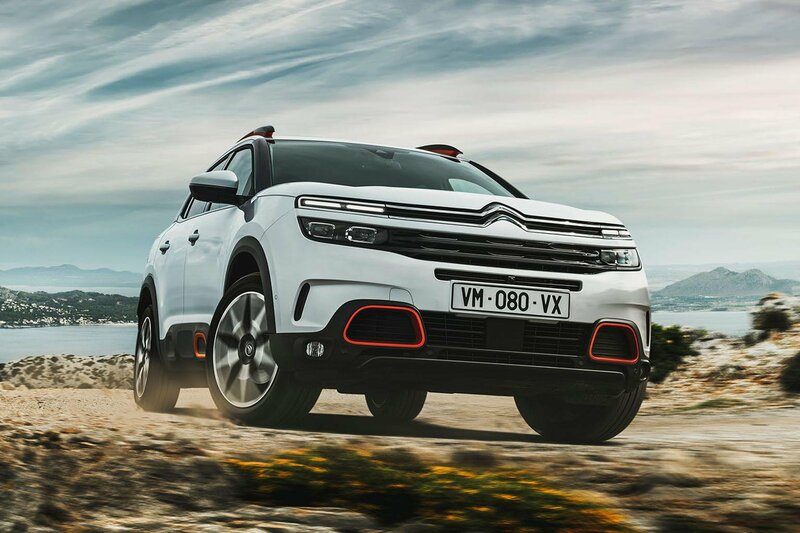 Citroën will also introduce a plug-in hybrid version of the C5 Aircross in 2019. This will be capable of driving for up to 37 miles on electric power alone – slightly farther than most of today’s plug-in hybrids, which manage around 31 miles. We’re expecting the hybrid C5 Aircross to use a 200bhp combustion engine and an electric motor on each axle, providing four-wheel drive. All versions of the C5 Aircross will ride on Progressive Hydraulic Cushion suspension, which uses hydraulic fluid to absorb bumps from the road, thus improving ride comfort. The system, which is already available on the updated C4 Cactus, will be rolled out across the wider Citroën range, too. 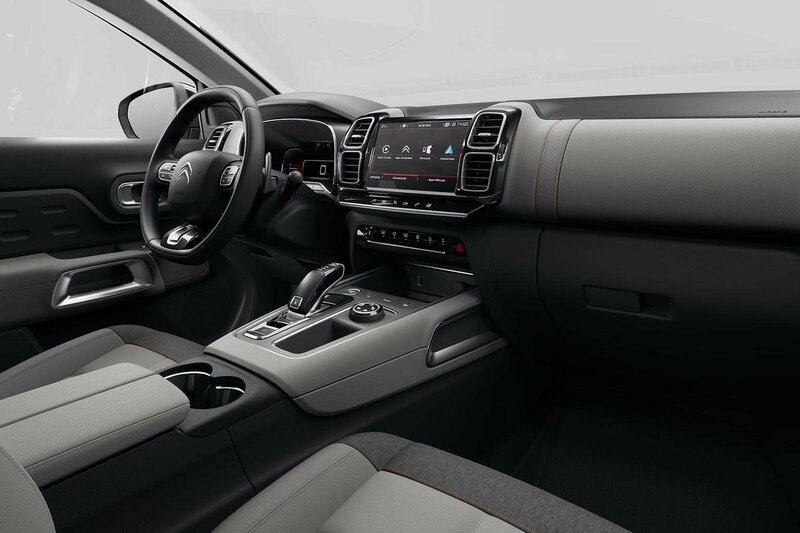 While there’s no four-wheel drive option in the C5 Aircross at launch, the car is available with Citroën’s Grip Control system, which maximizes traction on slippery surfaces by using the car's traction control. Spec your car with Grip Control and you’ll get 18in mud-and-snow tyres, too. As is becoming the norm in high-end SUVs, the C5 Aircross eschews traditional dials in favour of a 12.3in digital instrument display. Drivers can choose between three different styles for the display. There’s also a separate 8.0in infotainment touchscreen that features sat-nav and smartphone connectivity through Apple CarPlay and Android Auto. Plus, you can charge your smartphone wirelessly via a pad on the centre console. As with the latest C3, a forward-facing camera located in the stem of the rear-view mirror can be used to record video or share photos on social media. 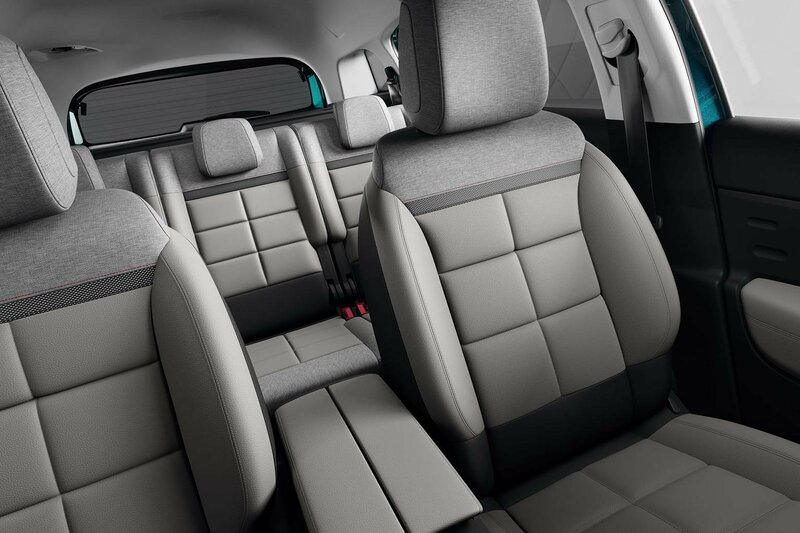 The SUV’s rear bench can slide, recline and fold, with each of the three seats able to move independently, allowing owners to prioritise either rear leg room or boot space. With 580 litres of space on offer when all three seats are folded up, the C5 Aircross's boot outclasses that of the Qashqai and almost matches the Karoq's, so there should be enough space for your holiday luggage or some hefty shopping. To help you load bulky items, the C5 Aircross comes with a powered tailgate that can be activated by swiping your foot under the rear bumper. 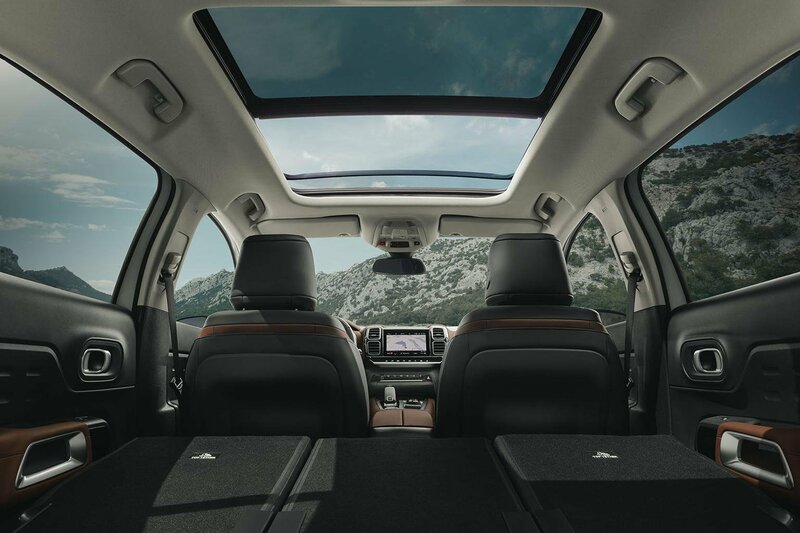 As in other Citroën models, the C5 Aircross’s seats can be heated, adjusted electrically and fitted with a massaging function. Safety equipment includes automatic emergency braking with pedestrian detection, lane departure warning, lane-keeping assist and a driver attention monitor. There’s also Highway Driver Assist, which combines adaptive cruise control and the lane departure system to allow the car to drive semi-autonomously at speeds of more than 18mph. Other assistance technology includes keyless entry and start, a self-parking system and a 360deg camera, although Citroën is yet to reveal how much of that will be fitted as standard. Citroën won’t reveal prices for the C5 Aircross until closer to the car’s launch, but as it’s the sister car to the Peugeot 3008, we’d expect prices to be similar. Since the 3008 range currently starts from £22,870, a starting price of around £22,700 is expected for the C5 Aircross. That would make it more expensive than its rivals from Nissan and Skoda, but Citroën is typically very competitive when it comes to PCP finance, and that’s how the vast majority of customers will buy their cars. If the C5 Aircross's asking price puts it out of your budget, never fear, because we've tracked down a selection of great used large SUVs that will cost you a lot less to buy. 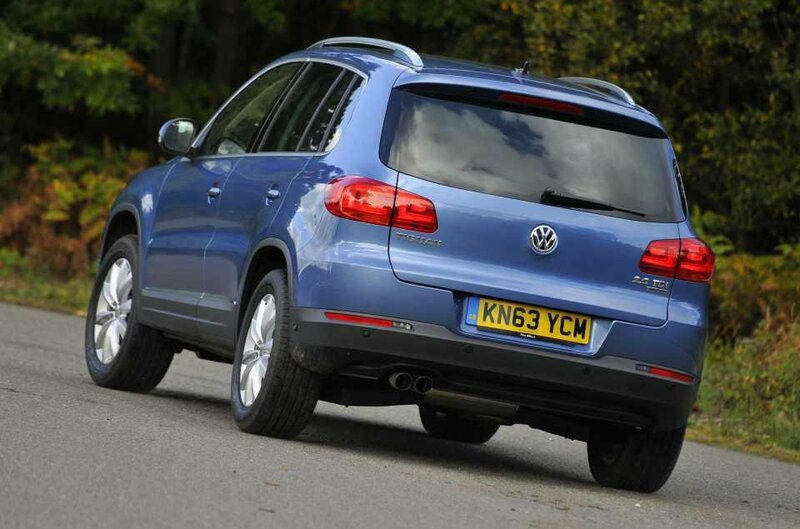 It’s a touch on the bland side but, if you can live with that, the Volkswagen Tiguan is a thoroughly sensible SUV. You get a decent-sized boot that’s a useful, square shape and the interior, while a little dour, is hewn from high-quality materials. The Tiguan’s good to drive, too. The majority of versions ride comfortably, smoothing out all but the worst of road bumps, and while you could never call it exciting, the Tiguan is at least crisp and composed in corners. Reliability glitches marred some early Volvo XC90s, but more recent cars are dependable, sensible propositions with high-quality, relaxing interiors that make whiling away the miles a doddle. 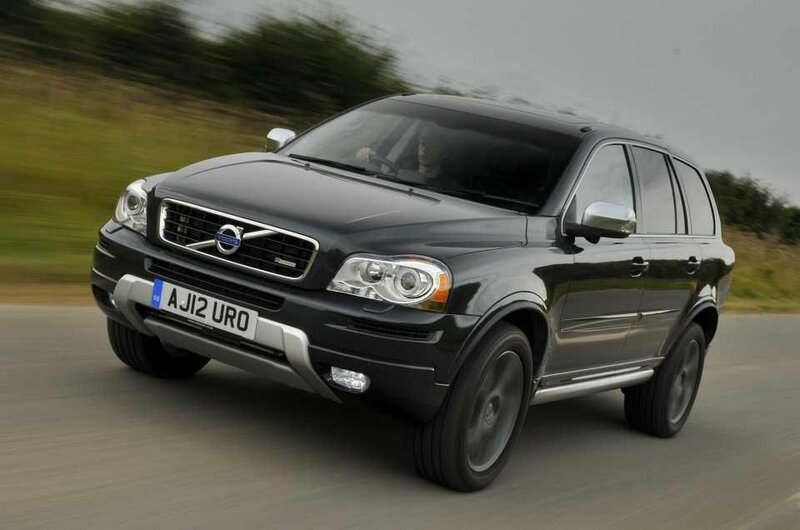 What’s more, the XC90 was one of the first SUVs to feature seven seats as standard, making it a versatile buy, and most used examples tend to come well equipped. It’s also pretty good value. Go for a diesel version; petrol models tend to be quick but thirsty.